Mudpuppy makes children's toys, puzzles, and games that "facilitate creative play and imaginative thinking". 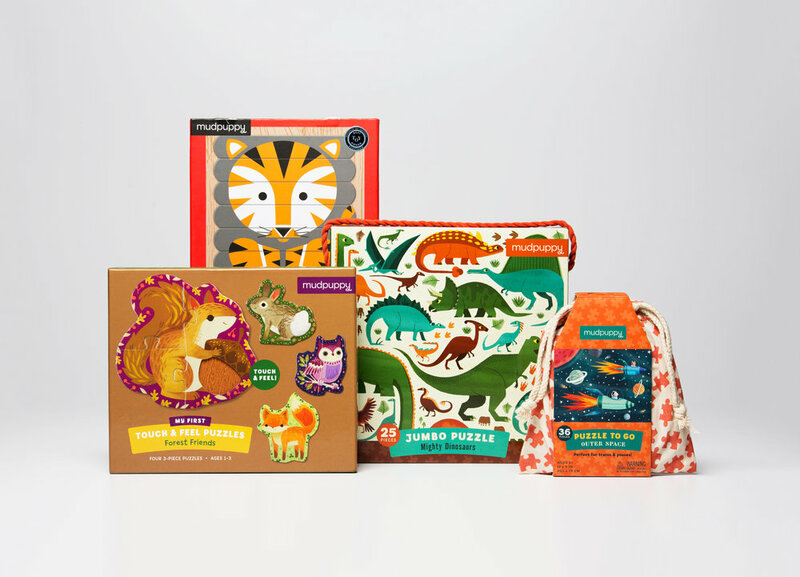 Their line of beautifully-illustrated puzzles, around which the company was founded, is a diverse set of products spanning multiple sizes and formats. I created new packaging design guidelines to apply to this suite of puzzles. First and foremost highlighting the imagery, the packaging was also designed to clearly display product details and safety information, regardless of its orientation on the shelf, and maintain cohesion through variations in style and format.